It would be great if all our creations lived on forever, sadly this does not happen. Here are a few sites we've worked on in the past that are no longer live, or have since been replaced with newer versions built by other great developers. 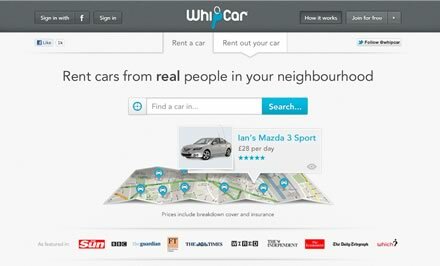 Whipcar was the first peer-to-peer car rental service, connecting car owners with neigbours in need of wheels. We worked with whipcar to refresh the design of their site as well as modernise their development processes. After a successful relaunch we then worked with the founders to vet and hire an in-house development team and oversee a complete rewrite of the back-end assisting with data migration and strategic planning. Authentic Jobs is the definitive destination for web & creative professionals, and the companies seeking to hire them. We helped with front and back-end development on Authentic Jobs, covering two generations of site relaunches and building features such as live search and result filtering using jQuery, new posting alert subscriptions, and more detailed job listings. Working from Photoshop site designs from Cameron Moll, we produced robust, standards-compliant code that faithfully matched every nuance of the original designs, and then honed the site’s rich interactive elements using jQuery to make the interfaces feel more natural, friendly, and intuitive. With the most recent iteration, the site was overhauled into a new adaptive layout design, helping it display and interact better on mobile and tablet devices. “Extremely thorough, swift, and innovative. That about sums it up for my experience working with Neutron Creations. 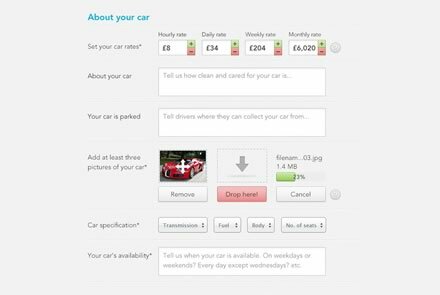 Honestly, I couldn't be happier with what they've done to breathe new life into the Authentic Jobs user experience.” ~ Cameron Moll, Authentic Jobs Inc.
Great Airport Cars provided minicabs and taxis for airport transfers to and from London’s airports. 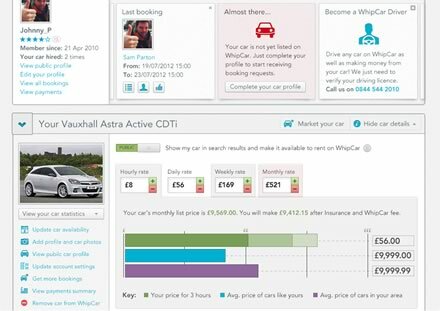 We built the Great Airport Cars online booking site from the ground up in Ruby on Rails, developing a bespoke checkout process for journey quotations and bookings, and a web-based management system to allow the client to efficiently maintain their service pricing. The quick and intuitive booking path provided its customers with flexible booking options, and integrated with SagePay’s secure gateway to process credit card payments. Prom Picker avoids the embarrassment of asking someone to the prom by keeping your picks secret from your potential date unless they also pick you. We worked closely with FoxLand to develop a fun and good looking application, tightly integrated with Facebook, that promsters would want to engage with. We all love Twitter, but sometimes you need more than words to convey your message. Tweetment solves this problem by allowing you to hand-craft a webpage for your tweets, styling the background, text, positioning and layout of your tweet exactly as you want. You can even sketch something on and around your tweet text, all from the comfort of your browser. Once you have designed your page, you can send your tweet right from within Tweetment. Tweets delivered via Tweetment are visually impressive and give you unlimited potential for reinforcing your message with the power of imagery and illustrations. If a picture is worth a thousand words, a Tweetment is superb value for your 140 characters. Flexible Flights is a web based service for retail travel agents to book flights on behalf of customers. We developed the front-end of the website from the ground up, allowing us to engineer an extensible UI framework in HTML, CSS and jQuery to support the client’s site designs, based on industry best practices. The site includes a number of rich interaction features such as auto-suggest location searching, multi-mode form interface switching, lightboxes, and tooltips. With a requirement to support legacy web browsers, we extensively tested the site across a variety of browsers and implemented modular fixes that can be removed when support for older browsers is no longer needed.